Days have turned into weeks since May 29, 2015, when Muhammadu Buhari assumed office as the President of Nigeria. 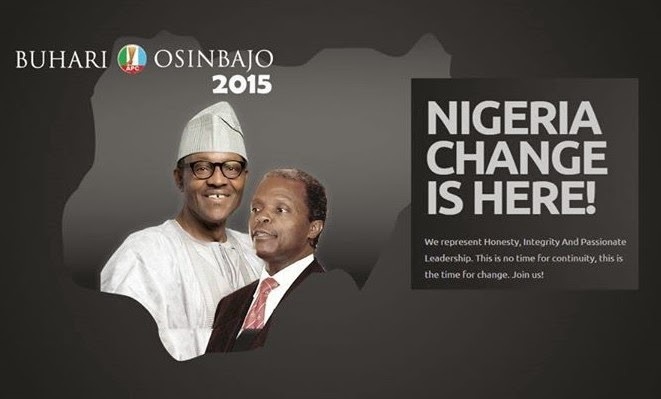 But the much promised change is nowhere in sight and seems to have died with the election campaigns. The President’s most ardent supporters and loyalists are already running out of excuses for the apparent inaction that has characterised his government, unless you are counting foreign trips, which are becoming the hallmark of his Presidency. To be clear, no one expected a transformation of the country in a few weeks after years of rot. But no one can see the baby steps that would indicate that change is in the offing. We are seeing the same unprincipled horse-trading in the sharing of political offices, with scant regard for competence and track record. Even the promised public declaration of assets, which was supposed to signal a new style of leadership, has not happened. What is supposed to be a simple proactive release to the public of the asset declaration form submitted to the Code of Conduct Bureau has become a complicated, long-winded explanation clouded in sophistry. We are now being told that the declaration of assets made by the President and the Vice-President, Prof. Yemi Osinbajo, and submitted to the Bureau will be and can only be disclosed to the public after the Bureau has verified them. A critical question here is: Why? There appears to be no logical answer to this question. What Candidate Buhari promised to disclose to Nigerians was not assets verified by the Bureau. What he is supposed to disclose to Nigerians is what he has declared to the Bureau. A major reason why a public declaration of assets is critically important is so that citizens can be part of the verification process. If a public officer has assets that he or she has not declared, there is no way the Bureau can know this on its own, unless citizens are aware of what the public officer has declared and can come forward with information on assets that have not been declared or any aspect of the declaration that is false, inaccurate or incomplete. At this time, there is no legal or constitutional impediment preventing the President from making public the declaration of assets form he has submitted to the Bureau. The only impediment right now appears to be the fact that the President has developed cold feet. Unless, of course, he never meant to disclose his assets publicly, to begin with. The failure of President Buhari to immediately fulfil his promise, voluntarily made in order to win the trust and confidence of Nigerians, and therefore secure their votes, will have grave implications for his credibility and consequently, the credibility of his government. For his own sake and for the sake of Nigeria, we have to urge him to make good on this promise. Since the President also promised to encourage all his appointees to declare their assets publicly as part of his pledge to run a clean government, it is obvious that if he has not made a public declaration of his own assets, he would have no moral authority to encourage anyone else to do so. He would also be sending a wrong signal to his appointees that he does not always mean what he says publicly. This would be disastrous for governance. Such a situation will also be sad for another reason; namely the knowledge that they will be required to declare their assets publicly is one thing that could perhaps have discouraged some political jobbers intent only on lining their pockets from taking up political offices. Another issue which has implications for governance is the mode of appointment of government officials, particularly ministers. Already, the signs are that the sharing of political offices remains that same nasty and messy business of “survival of the fittest” that it has always been in Nigeria. There is no debate about who is best qualified to run what. The considerations appear to remain who comes from where and who is loyal to whom. That is not change. For a while, the impression was promoted that the President could not constitute his team because the National Assembly had not been inaugurated and, as such, the Senate to confirm his ministerial nominees was inchoate. The National Assembly has now been inaugurated with the Senate and its leadership in place, but there remains no progress on this front. In any event, when the President finally gets round to appointing his ministers, how he manages the process will be another indication of whether we are in for more of the same or whether change is truly coming to Nigeria. The established practice is that the President sends a list of ministerial nominees to the Senate for confirmation with no indication as to the portfolios that they will occupy. In the screening process, therefore, the Senate really has no way of assessing their competence or qualifications for the positions that they will ultimately occupy, having no information whatsoever in this regard. Although this practice does not violate the requirement of the constitution, it has encouraged the use of such political appointments for mere political patronage which does not serve the best interest of the country. We have frequently seen the most incompetent of persons appointed to sensitive ministries, including Defence, with no consideration given to their qualifications, experience, competence or track record. Besides, such officials take office with no clue as to what is required of them. Citizens also do not know what is required of the appointees and are therefore unable to effectively assess their performance. President Buhari needs to address this problem within the framework of his reform agenda. Two options are open to him in this regard and he can apply either or both options. The first option is for the President to send this list of ministers to the Senate for confirmation with their prospective portfolios indicated. That way, a meaningful screening process can take place, with public engagement, where the qualifications, experience and track records of the prospective ministers for their positions are assessed and they are required to outline their plans and priorities before they are confirmed. Their performance can subsequently be assessed by both the President and the public against their stated plans and priorities or the deliverables they promised. Although the constitution does not require this, it does not preclude it either and a President who is serious about bringing about fundamental changes in governance can implement this reform and establish it as standard practice for future Presidents. The second option is for the President to issue every political appointee, including his ministers, with the “Terms of Reference” and very concrete deliverables that are disclosed to the public. These terms of reference and deliverables will be based on the clear priorities in the different sectors, even if there is no public input and they are based solely on what the President and his inner caucus consider to be the priorities. In this way, the President, his officials and the public all have a common understanding of what is expected of the appointees and can assess their performance. The current practice where people are appointed to offices and they simply dither in office for the duration of their appointments has contributed significantly to the mess that the country finds itself. President Buhari must appreciate that he has raised the hopes of Nigerians and that he stands on the cusp of a new era. Never before have so many Nigerians been so invested in a government and so hopeful of positive change. Given the clear tasks before him and the goodwill he currently enjoys, if he disappoints Nigerians, he would have done more damage to the country than all the leaders before him put together and history will judge him harshly for it. So, the change must start now!